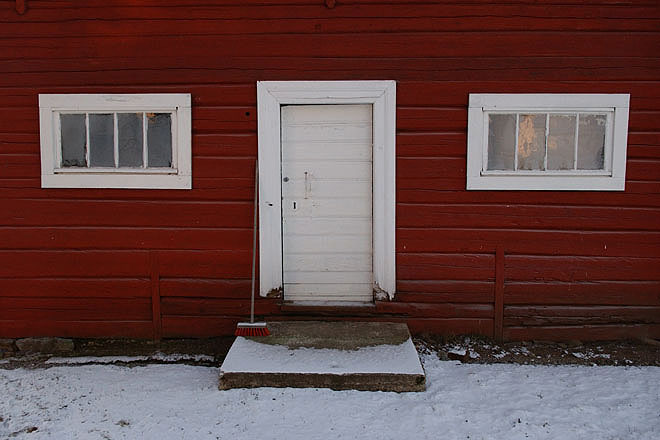 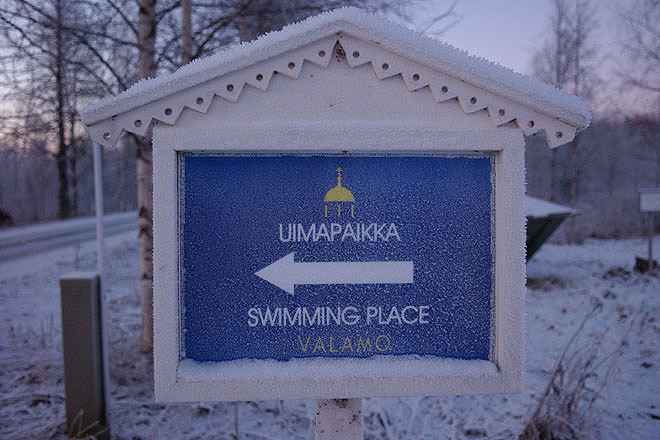 The Finnish monastery of the Transfiguration of Christ has been located at Papinniemi, between Kopio and Joensuu, since 1940. 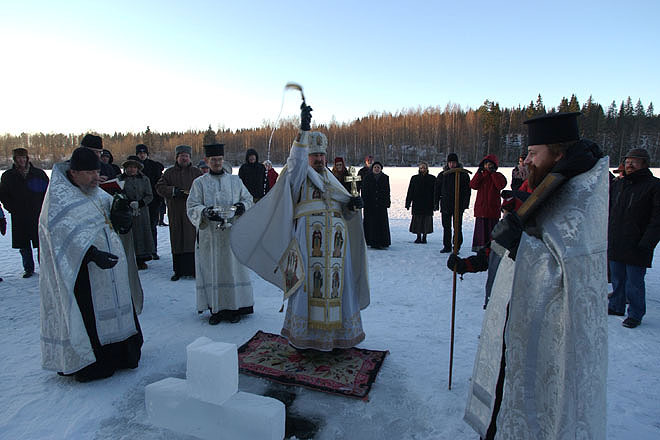 The Blessing of Waters is normally done twice: once on Paramony, the eve of Epiphany inside the church, and then again on the day of the feast, outdoors at a body of water. 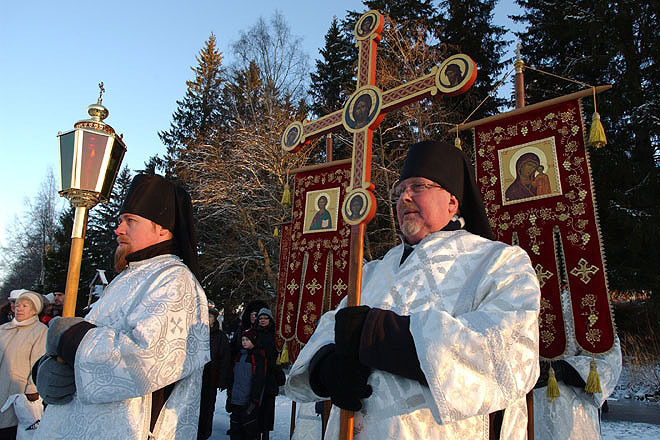 Vespers on Paramony, the eve of Epiphany. 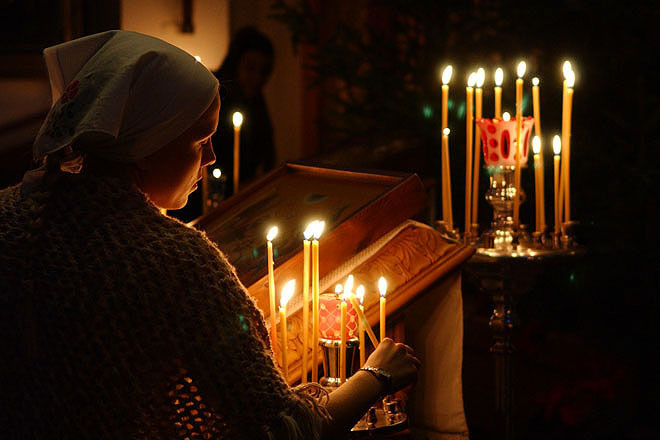 A believer lighting candles during the vespers on Paramony, the eve of Epiphany. 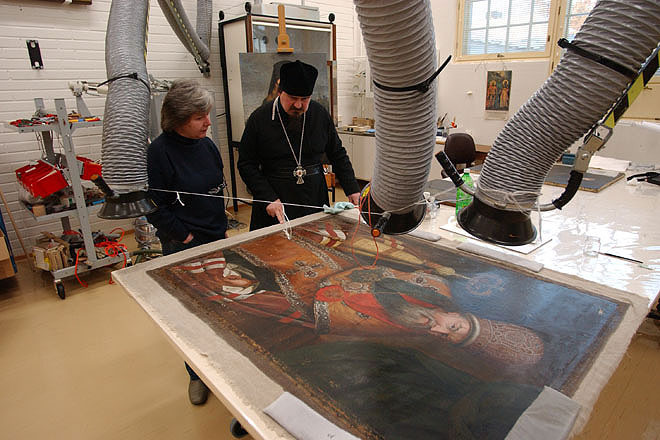 The Valamo icon conservation laboratory is one of the most modern of its kind. 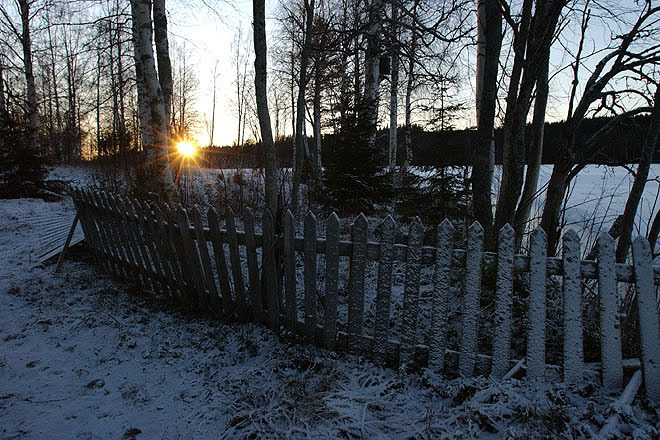 In Finland, the winters are often severe with only a few hours of daylight. 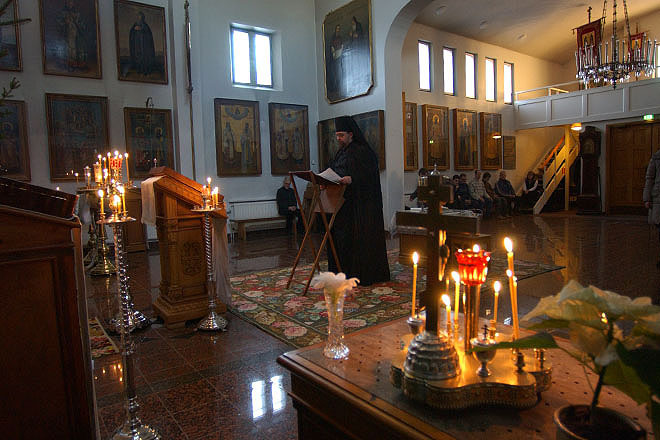 The Monastery’s principle source of income nowadays is tourism. 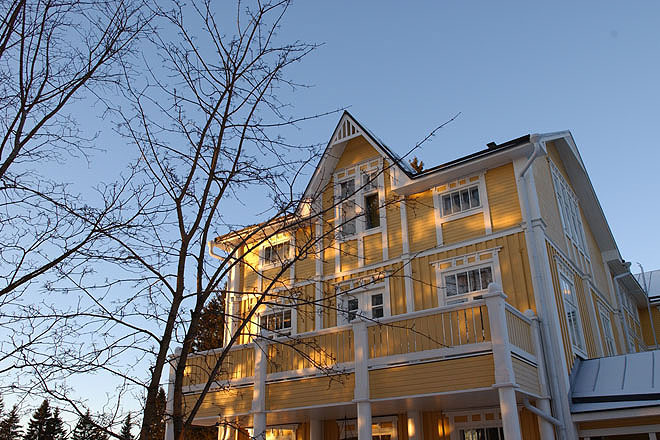 It welcomes more than 160,000 visitors a year, most of them during the summer months. 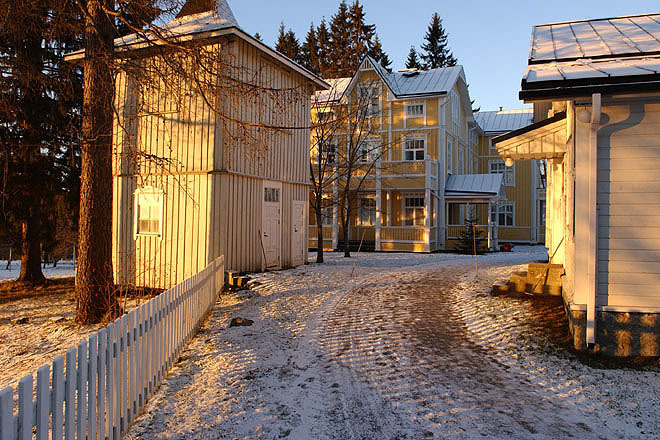 In Finland, the winters are severe with only a few hours of daylight. 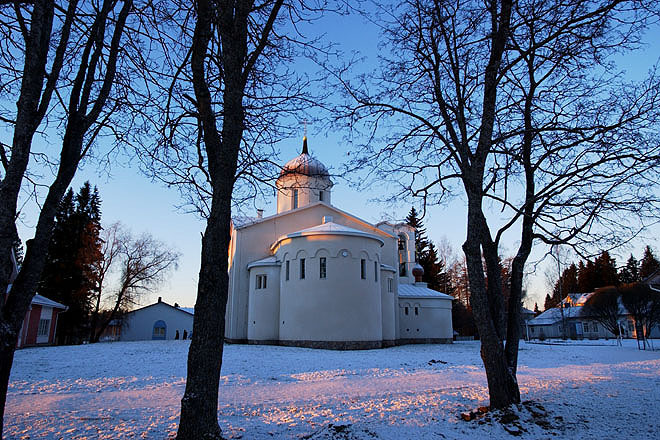 Surrounded by forests and lakes the Finnish monastery of the Transfiguration of Christ has been located at Papinniemi, between Kopio and Joensuu, since 1940. 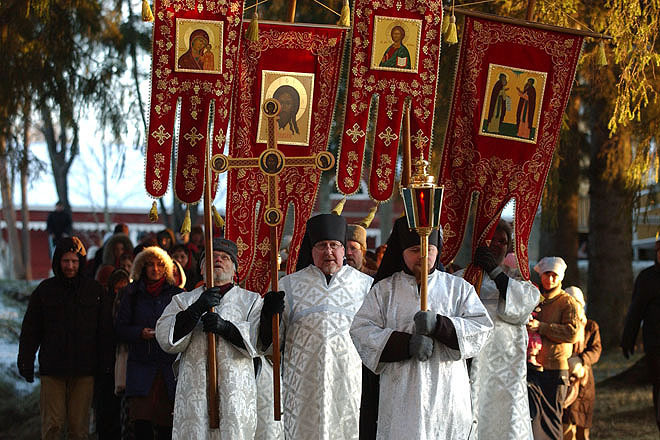 The monastery has its centuries old roots in the island of Valamo in Lake Ladoga, in the territories ceded to the Soviet Union after the Second World War. 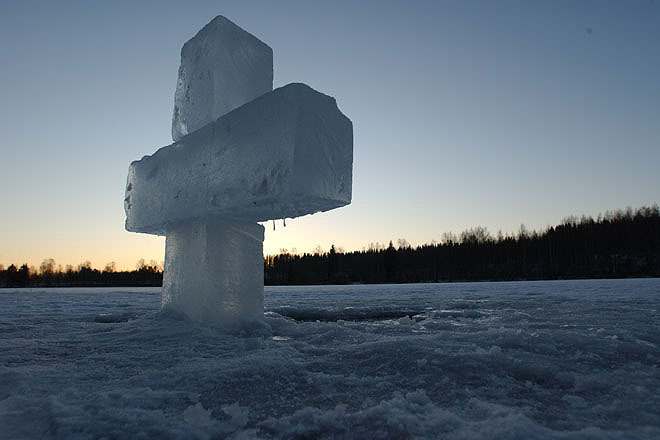 At the end of the feast of Epiphany the sun sets over the frozen lake. 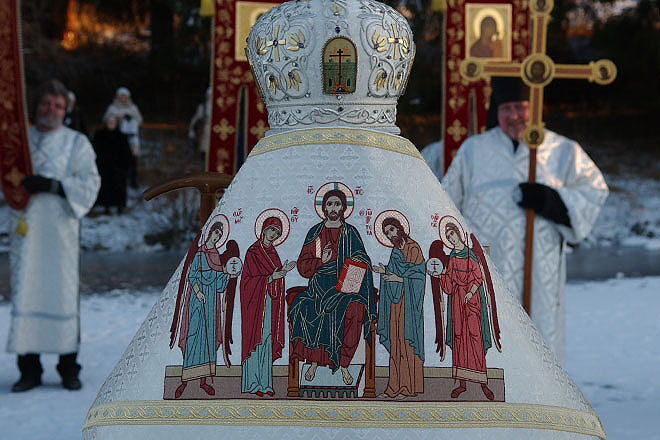 The solemn Blessing of Waters on the feast of Epiphany, commemorating Christ’s baptism in the River Jordan, is one of the most imposing ceremonies of the Byzantine Rite. 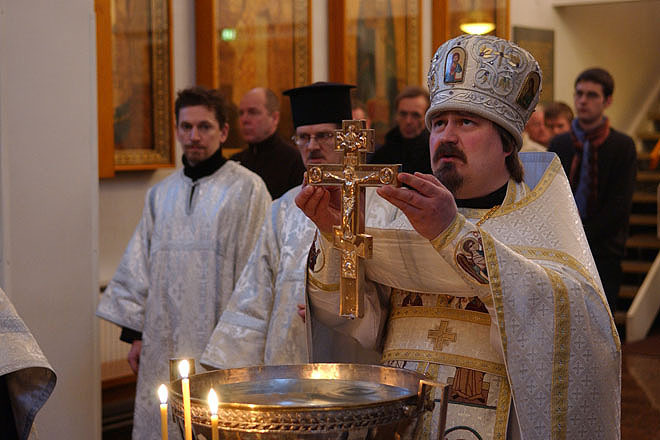 After the ceremony the priest blesses the congregation using water. 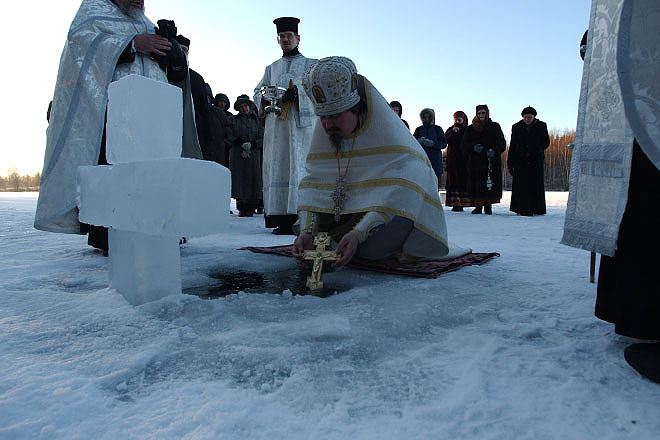 The cross is put into the water to bless and purify the waters. 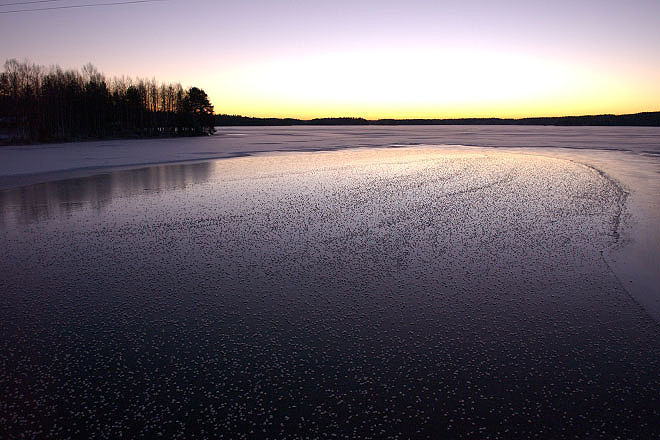 In Finland, where the winters are severe, a hole is cut into the ice so that the water may be blessed. 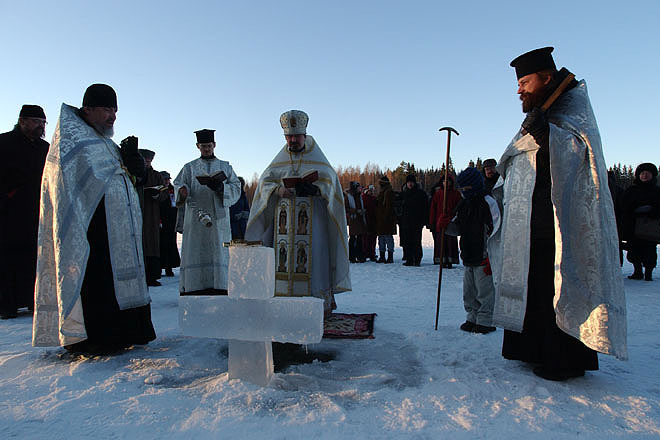 The procession gathers on the frozen lake for the Blessing of Waters. 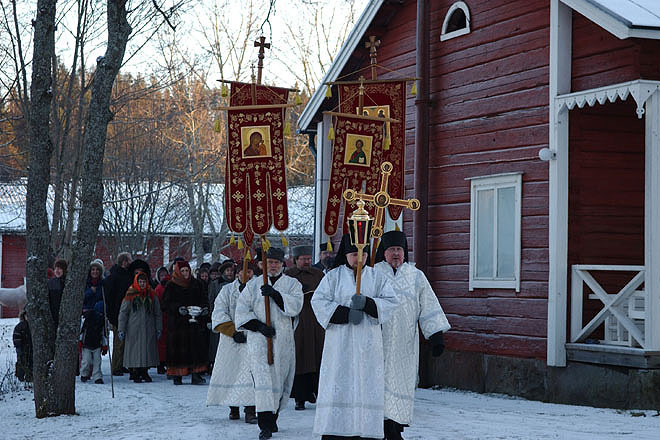 Following the liturgy the procession makes its way to the nearby lake for the Blessing of Waters.